Our motto is: ANYTHING can be funny from the right perspective! This is the Podcast where we tell true experiences, discuss random things and joke without apology. Those who are sensitive, and can't take a joke, should tread lightly... 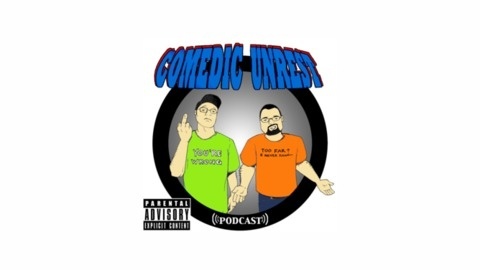 Check out www.ComedicUnrest.com for our disclaimers, credits and more. Enjoy the show! “My Weenis is rough” - Mike With returning guest host, Toby… we discuss allowances; Official State Sports; Craigslist Rants and Raves; Gang Bangs; Dab Experience; Marijuana Overdose; we play Dumbass and Defining Vulgarities. 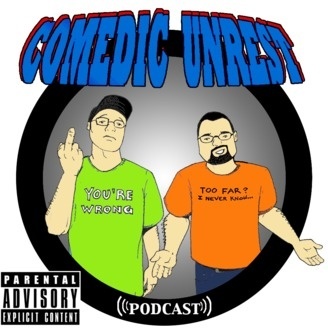 Check out www.ComedicUnrest.com for credits and contact info!